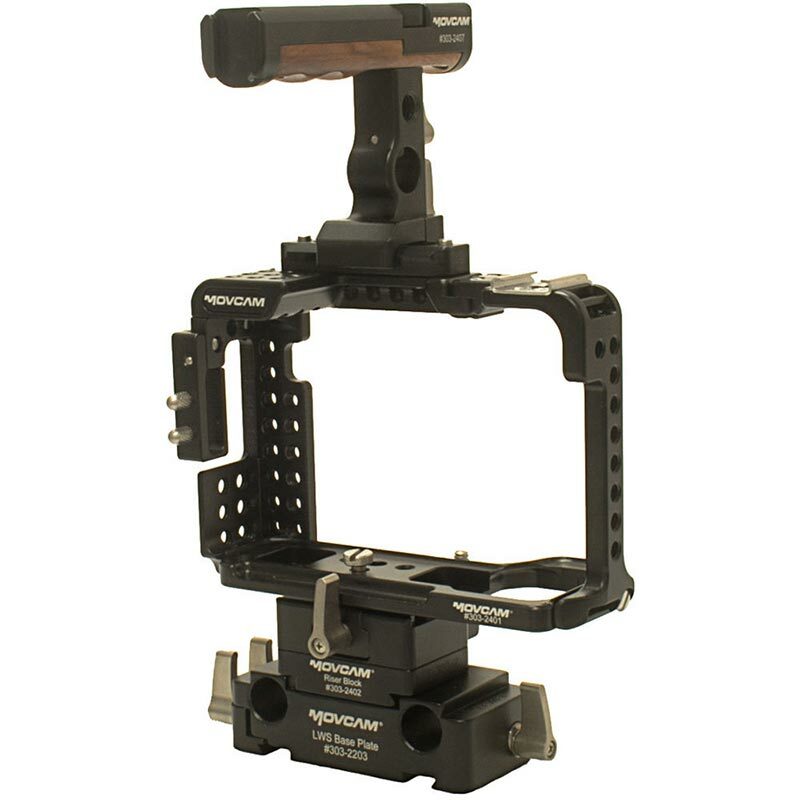 The Movcam Cage Kit for Sony A7 II, A7R II and A7S II provides the added protection, stability, and mounting options needed to get your camera ready from video production use. Serving as the foundation point of the rig, the cage adds a durable aluminum frame around your A7 II, A7R II, or A7S II camera while adding multiple 1/4"-20 threaded holes for attaching various camera accessories. The cage maintains access to control buttons, battery and SD card compartments and I/O connectors, as well as the Multi Interface Shoe to accommodate optional accessories, such as Sony's XLR adapters. The included top handle provides a convenient way to carry the rig and features additional threaded accessory holes and an integrated shoe mount. A second shoe mount is found on the side of the cage itself. At the bottom of the cage is a rail for sliding on/off the included riser block. 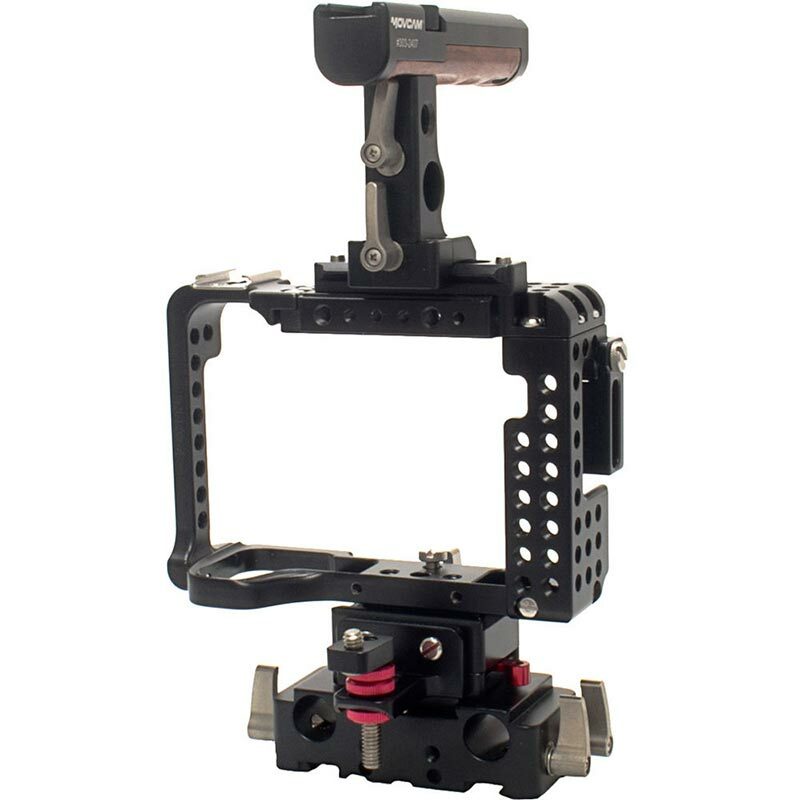 The riser block enables attachment to LWS 15mm rod baseplate and elevates the camera to the proper lens height for use with a matte box and follow focus. 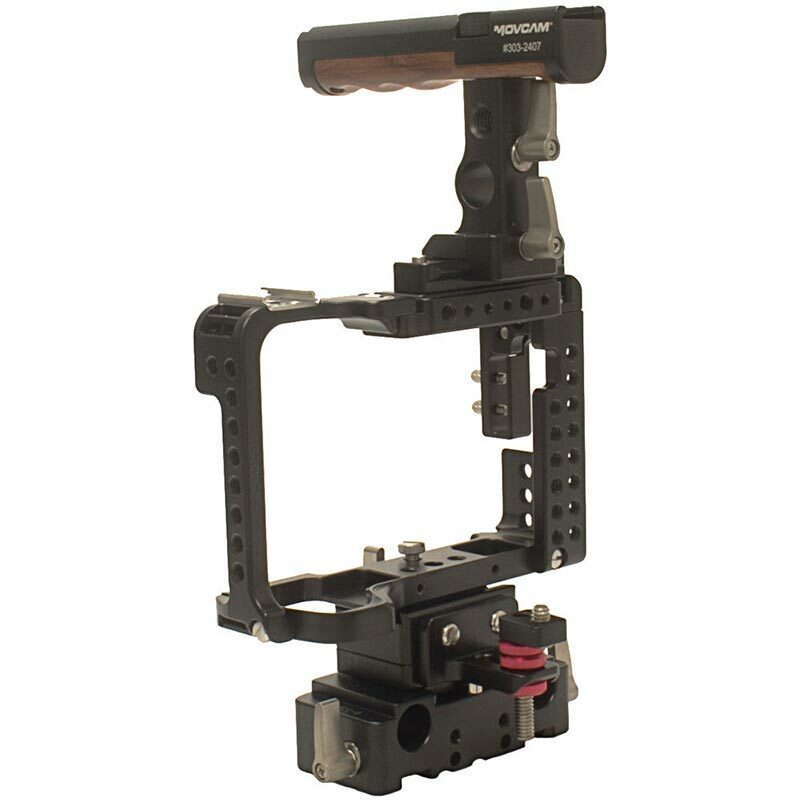 The baseplate features ports for adding optional 15mm rods and is compatible with Movcam's Universal Quick Release Baseplate system. For accessory attachment, 1/4"-20 threaded holes are provided on the top and sides of the cage. Because the camera's Multi Interface Shoe remains accessible, the cage is fully compatible with Sony's optional XLR-K2M XLR Adapter and other MIS accessories. 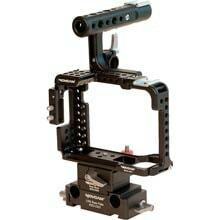 Thanks to its top shoe mount, the cage is also compatible with Sony's XLR-K1M XLR Adapter. Included with the cage is an HDMI cable bracket to help prevent your HDMI cable from accidentally coming unplugged during your shoot. The Twist Handle is a quick release top handle designed for use with the A7 II-series camera cage, attaching to the cage via an included short NATO rail. When attached, the handle can be rotated by loosening a top thumbscrew, letting you set the desired grip angle/position. For mounting accessories, the handle features 1/4"-20 and 3/8"-16 threaded mounting holes, a single 15mm rod port, and two shoe mounts (one in front and one in back of handle).